As an architectural consultant, I can help to make the job deliverable if it involves American hardwood, especially quartersawn American hardwoods. In trying to sync the specification with the realities of the resource, this first conversation can sometimes be disappointing. The specification looks so good on paper and in many cases the client has virtually unlimited funds, so how can it be that the spec isn’t deliverable? The fact is some hardwood specs are unattainable because of nature. Every tree is different and the client’s desire to see all the hardwood in their project looking exactly the same is often impossible. That disappointing first conversation, however, is free of acrimony or litigation. If a promise is made to supply that unrealistic specification and it doesn’t happen, acrimony and litigation are certain to follow. 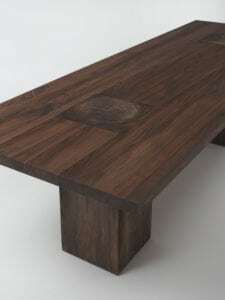 With that in mind, let me share with you the story of a specification of quartersawn walnut. We recently turned down the opportunity to quote on a quartersawn walnut project for a hotel; the spec included FSC certification. Frank Miller Lumber is the largest FSC-certified quartersawn hardwood lumber sawmill in the world. There are only a handful of similarly-sized quartersawn hardwood sawmills in the United States. We currently hold the nation’s largest inventory of FSC-certified quartersawn white and red oak lumber. We occasionally produce some FSC-certified cherry and walnut as well. However, our ability to produce FSC-certified lumber is limited to the availability of FSC-certified logs. The number of FSC-certified timber producers is steadily declining in the United States, not because FSC level sustainability standards are no longer being met, but because the cost of certification and its connected paperwork can make FSC certification a bit daunting to some timber producers, despite its merits. 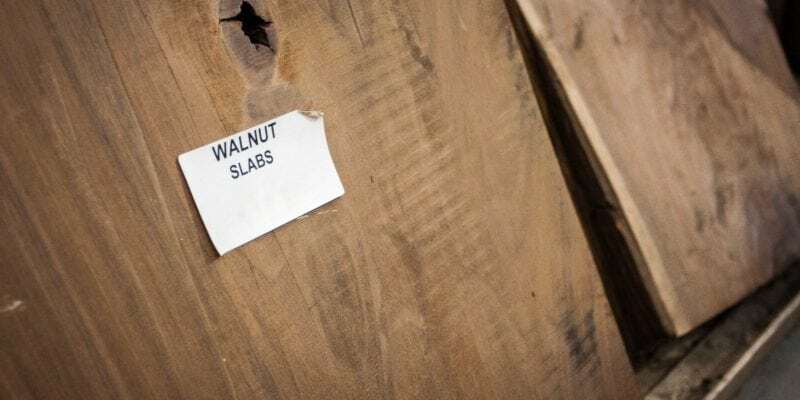 Since walnut represents 1% of the American hardwood resource, the chance of coming across FSC-certified walnut logs is extremely remote. We had to turn down the opportunity to provide a quote on the hotel project. I wouldn’t quote FSC-certified quartersawn walnut for a small residence and there is certainly no way to quote enough to handle a hotel. Another unrelated project recently was 30,000 square feet of quartersawn walnut flooring for the executive offices of a well-known firm I can’t name. This wasn’t FSC-certified, but the sheer volume of the project disqualified it out of the gate. Adding to the impossibility of the specification was the walnut flooring couldn’t exhibit any “natural characteristics.” That is the sort of specification that leads only to disappointment. The advice I offer to everyone who is pondering the use of quartersawn walnut: Check your specs and expectations with mill representatives before you make promises that will go unfulfilled. Client conversations regarding broken promises are not just disappointing, but often acrimonious and litigious.